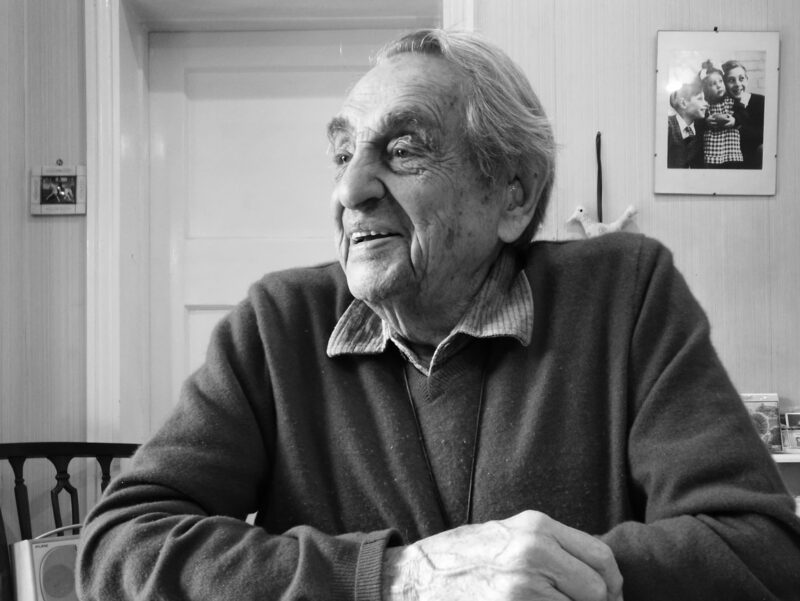 Frank Selby, the founder of Rex Features photographic agency, has died aged 100. Selby was born Ferenc Salusinszky on 12 January 1918, in Budapest, Hungary, at a time when his father, Imre, was an established journalist at Pesti Naplót – the first Hungarian newspaper to feature photographs. As Frank grew up so did the newspaper group. New titles followed and breakfast talk at home was dominated by circulation figures. Having begun studies in law at Budapest University, in 1936 Frank enrolled at Fitzwilliam College, Cambridge, to read Economics. After a year there he returned to Hungary to take his first law exam but his family decided that he should learn French and packed him off to a course in Lausanne. Finding Lausanne “one of the most boring places on earth”, he persuaded his parents to let him join his elder brother in Paris, arriving there in early 1938 and found the French capital much more convivial. After five months there he returned to Hungary to sit his second-year law exam and took the opportunity to study photography. Under Nazi pressure, his father -who was descended from Polish Jews – had been forced to give up his position as editor-in-chief of the Az Est newspaper group. In January 1939 Frank travelled to England, intending to work as a photojournalist. Once in London he worked for a while on assignment for Picture Post, but as a foreigner during wartime, he was soon made to give up that profession. By February 1941 Frank felt that the war was really his war too, although Hungary was still a neutral country, and he joined the Pioneer Corps of the British Army. Around this time he anglicised his name, Ferenc transposing easily to “Frank” and “Salusinsky” to Selby. Supplied with a phalanx of émigré European intellectuals – among Frank’s 251 Company were Arthur Koestler and a member of the famous (Belgian) Goossens family of musicians – the Army set them to light engineering duties, building latrines, sand-bagging defences and building tank traps at Beckenham Farm, Cheltenham (later the site of GCHQ). The Company was later moved to Bicester to build grease traps and yet more latrines, but this move was fortuitous: London was easily accessible and on one visit in June 1942 he met the 17-year-old Elizabeth Guttmann, who worked for the Free French resistance organisation at its St James HQ. Elizabeth had been born in Berlin, her parentage Jewish-Hungarian, like Selby’s own (his ancestors were shoemakers who had emigrated to Hungary from Poland in the 19th Century). Her father, Heinrich Guttmann, was a distinguished writer on industrial resources with a personal interest in the history of photography. The family moved to Paris months after Elizabeth’s birth and she spent the first six years of her life there. By 1931, her father could see what was coming in Europe and eventually arrived in Britain in 1934 after periods in Switzerland and Belgium. 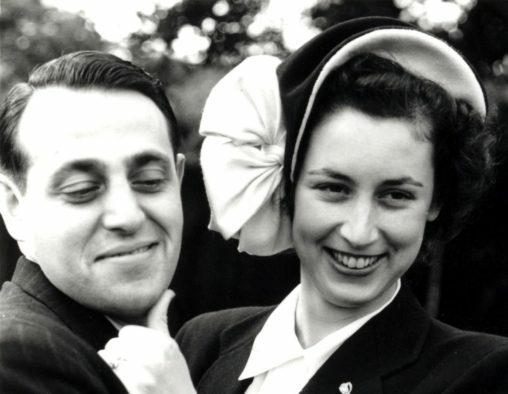 Selby married Elizabeth Guttmann in 1948. They were then faced with the problem of earning a living in gloomy post-war Britain. Frank’s father had survived the war but died in 1946 and most of his remaining relatives were marooned behind the Iron Curtain. Frank Selby, founder of REX features, marrying his wife Elizabeth. Because of the post-war political situation, Selby was unable to return to Hungary to visit his father before he died. Guttmann’s wider family had fared badly, with many members transported to Nazi death camps. Elizabeth’s father had been a collector of early photography and had sold his first collection to Picture Post. He now gave his second collection to Frank and Elizabeth, the latter having for some time already been helping to package and sell her father’s articles, illustrated with photographs. Rex Features Ltd was born in early 1954 when the couple accepted an offer to represent the Paris-based picture agency Lynx and made their first sales. Frank toured the newspapers and magazines of Fleet Street daily with a briefcase full of photos, while Elizabeth ran the office from the front room of their home in northwest London. The company progressed through the 1950s, benefiting from its founders’ international connections to build a network of “correspondent” agencies across Europe, America and Asia. A mixture of light features, hard news and showbiz proved successful and when The Beatles arrived on the scene, Rex was at the forefront of the 1960s revolution with its representation of photographer Dezo Hoffmann’s brilliant early pictures of the band. The first office premises rented by Rex were at King Street, Covent Garden, in 1963, followed by moves to Gough Square, just off Fleet Street (1967) and East Harding Street (1976). Days were dominated by the physical work of preparing photo stories for the market. Raw film was processed and edited. Later, darkroom staff took over, producing vast quantities of prints and , from the mid-70s, duplicate transparencies in time to meet the deadlines of Fleet Street and overseas distribution. From January 1966 Rex was joined by Allan Day, rated at the time and forever after as the best salesman in Fleet Street. Despite attempts to poach him, Day remained with the company as sales director until his retirement. So too did darkroom printer Albert Boulton and Martin Hillier, who also joined Day’s sales team and later became a director of the firm. 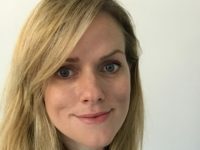 Rex Features was a business, but it was also a family of owners, staff and contributors who shared an instinctive understanding of the requirements for success. In 1976 the core staff were joined by the Selbys’ son, John, and in 1982 by their son Michael, and later their daughter Sue. Fleet Street was a tight-knit community where reputations were hard-won and easily destroyed and the pressure of deadlines meant that many key transactions, often involving hundreds or sometimes thousands of pounds, were agreed merely on a “hand-shake”. Trust was at a premium, and this was enjoyed in buckets by Rex Features – a reflection of the instinctively honest, open character of both Selby and Guttmann. I first encountered the agency in November 1976 following a meeting with the formidable Sunday Times picture editor Steve Brodie. The blunt East Ender, casting his eye over my portfolio, asked if I had an agent. “Go and see Frank Selby, he’s straight,” he said. Within months, I was making regular sales through Rex – society photographer Richard Young and I are recorded as making their first contributions on the same day in January 1977. In February 1979 a fire caused by an electrical fault at East Harding Street almost destroyed the business and necessitated many months of painstaking cleaning and re-filing of prints, slides and paperwork. Later that year the agency moved to new premises in Clerkenwell, where an in-house colour film processing lab was soon set up. The company became renowned for its efficiency and the quality of its in-house film processing and duplicating, and it beat many agencies to the worldwide pages of newspapers and magazines with coverage of the wedding of Charles and Diana in 1981. Other early scoops included Margaret Thatcher working late at night on the sofa at 10 Downing Street during the 1983 election. Following the fall of the Berlin Wall in 1989, Rex Features expanded into new territory, with sales in Eastern Europe and Russia. He and his wife continued to take an interest in the business and were always proud to spot the growing number of Rex credits in the newspapers and magazines, although with his failing sight this became more and more difficult for Selby as time went on, a particularly cruel affliction for a man whose whole working life was in pictures. In their private life, the couple travelled the world and for many years had a second home in the Dordogne, where they loved to spend time with their local friends. Selby was well known for his lively sense of humour. On 12 January 2018, nearly 100 friends and family members from around the world gathered in London for a party to celebrate Selby’s 100th birthday, which he enjoyed immensely, helped by a 30-minute nap midway through and a restorative whisky. 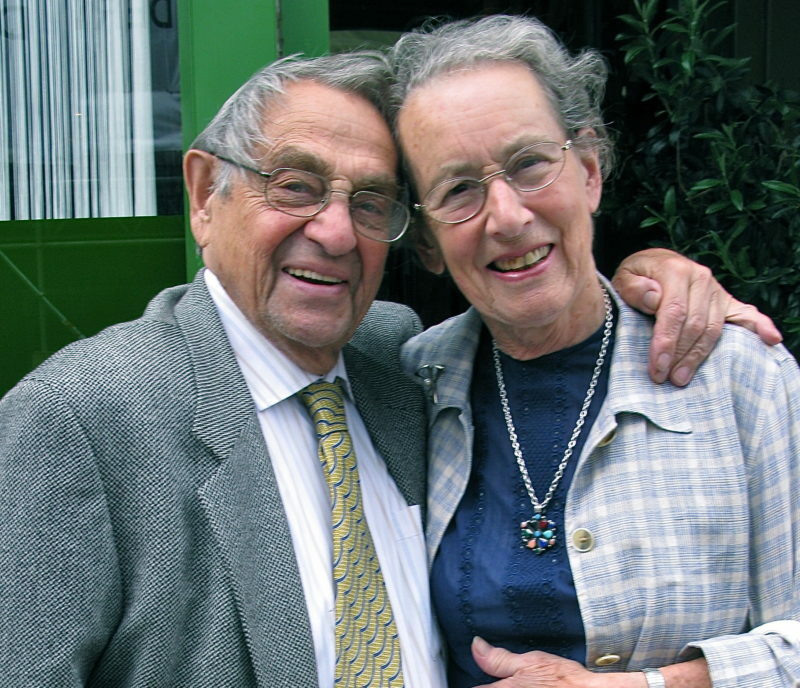 Selby was utterly devoted to his wife, the love of his life for over 70 years, and the couple were united in everything, through thick and thin. On Saturday morning, 17 February 2018, immediately upon waking, Frank, as usual, kissed and cuddled Elizabeth and told her how much he loved her. As he headed for his morning shower, he collapsed and died in her arms. Selby is survived by his wife, Elizabeth and his children Michael, John and Sue, five grandchildren and one great-grandchild.